This week’s convention is putting the spotlight on Philadelphia as a whole. 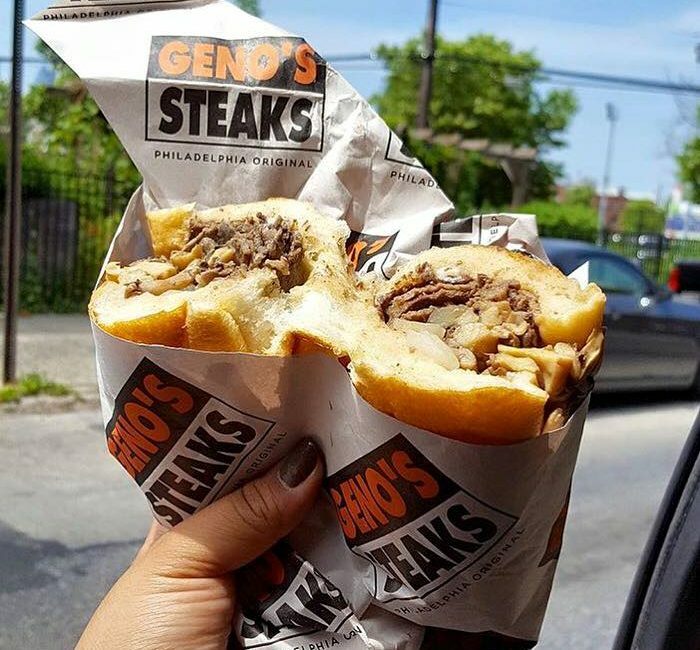 The City of Brotherly Love as it’s known is probably best known for its cheesesteaks. As Aaron Gilchrist found out, businesses throughout the city are hoping to turn politics into profits. Welcome to Philadelphia’s front yard. Independence Mall will pull in thousands during the Democratic Convention. Protestors and site-seers alike, many of them braving the heat for a glance of America’s birth story and a glimpse of the Liberty Bell if only through a window. Historic Reading Terminal is more like Philly’s family room. Set one foot inside, and it is an immediate and wonderful assault on the senses. Vibrate and colorful yes, but, let’s be honest, it’s the food that draws you in. It’s the first thing when you enter. It’s just the smell. The variety of smells. It’s so diverse in here. I need about an hour to explore. Donna is a convention goer from Las Vegas but her roots are in Philly, and her friends have to try the Whoopee Pies. They’re so good. They’re so soft and sweet and delicious, and you don’t find them anywhere else. The indoor market opened in 1892 by Reading Railroad – yeah, of Monopoly fame, and since then, it’s grow to welcome more than six million visitors a year. Samuel Ridley from Atlanta says he never misses a stop at Carmen’s for a cheesesteak that is always good. Yes. We love Carmen’s – except for when there’s a long line. And there’s usually a long line. The businesses here have turned out the political collectibles, too – many of them locally produced. And the food has taken on a decidedly patriotic hue – even the ice cream is red, white and blueberry at the famous Bassett’s, the terminal’s first resident. And yes, that is where I decided to feed my face. You can’t look at ice cream like this without actually tasting it. That’s good stuff! There are healthier options down at the city’s Italian market, seven blocks of the oldest continuous market in the country. You can find vegetables, produce, plants, meats, cheeses. And the political vibe isn’t lost on the vendors here either. Though, I think the competition here tastes better.